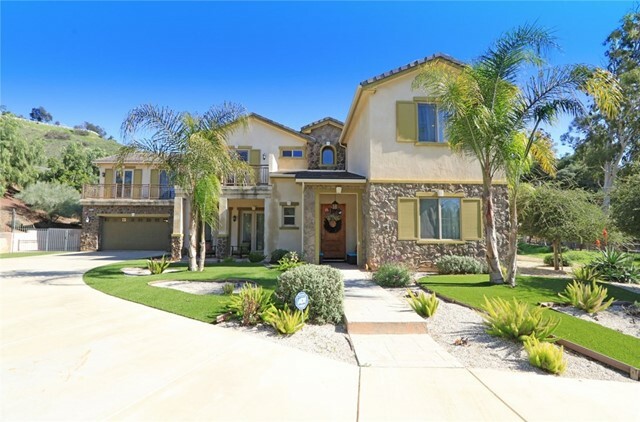 All Sunland homes currently listed for sale in Sunland as of 04/25/2019 are shown below. You can change the search criteria at any time by pressing the 'Change Search' button below. If you have any questions or you would like more information about any Sunland homes for sale or other Sunland real estate, please contact us and one of our knowledgeable Sunland REALTORS® would be pleased to assist you. "Exquisite 6BD, 5BA, estate with large lot and picturesque equestrian hillside setting! Inviting pool with waterfall spa, sunning decks, multiple patio areas, amazing stone outdoor living with full BBQ center and eating bar for entertaining. This dream home includes: Elegant formal living room with decorative fireplace and thick crown molding. 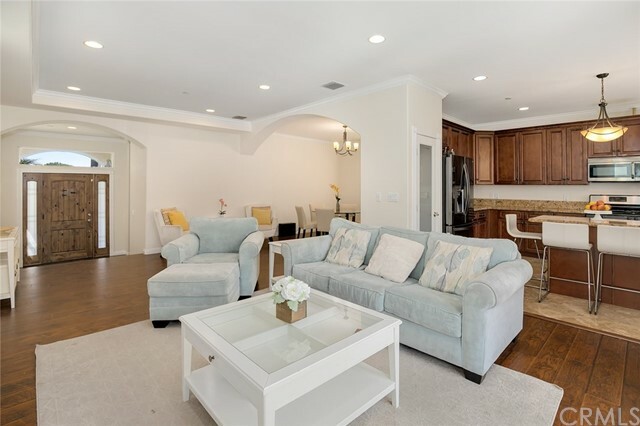 Spacious formal dining room, gorgeous gourmet kitchen that includes Top-of-the-line stainless steel appliances, granite counters, custom cabinetry, island and breakfast bar that faces towards great room - Great for parties! Big walk-in pantry and good size inside laundry room with work sink and overhead storage. Comfortable open great room includes beautiful dark Brazilian plank wood style flooring and French door access to backyard. Upper landing includes quaint sitting area, 3 master bedrooms, 2 other bedrooms, plus 6th full bathroom upstairs. Spacious master suite retreat includes decorative fireplace, large private balcony with picturesque hillside and pool views. Glamorous bathroom with dual sinks, beautiful travertine tile flooring and spa tub. Other home features include: Dual AC and Heating system, classy thick crown molding, energy efficient dual pane windows, custom drapery and easy pull up window shades throughout. Inviting swimming pool in backyard with waterfall spa, nighttime accent lighting, BBQ center with serving bar and multiple patio areas. Attached 2 car garage with huge parking pad ? Truly a stunning estate!" 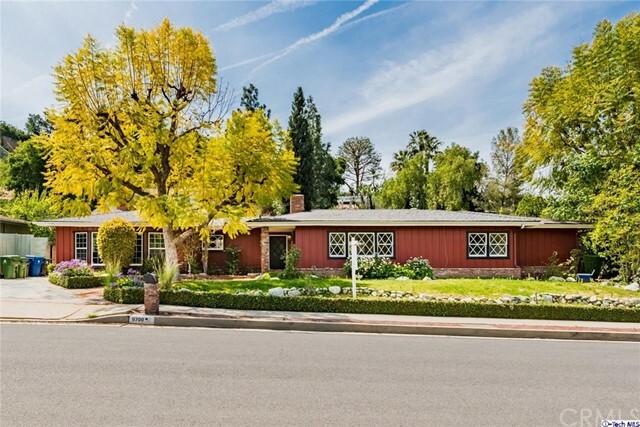 "Located in Shadow Hills, a hidden gem of an area, close to Los Angeles and the Studios, this fabulous equestrian property offers an updated Hacienda style home on approximately 1-1/3 acres of usable land with entrances on Wheatland Avenue and McBroom Street! Miles of nearby trails are the equestrian and exercise enthusiast's dream. Lived in as a four bedroom home, also offered are a living room with stone fireplace, huge family room with bi-fold doors to the yard and pool, newer kitchen addition with top of the line appliances, skylights and center island with eating bar. An at home gym is adjacent to the master bedroom. Additional features include a large sports court, 3 stall barn with tack room, large arena, paddocks, pipe pens with cover and turn out areas. Currently in two separate parcels, this is a rare find in Southern California!" "Built to perfection, this Cape Cod inspired masterpiece welcomes you to experience quality craftsmanship and design with an impressive floor plan and stylish details throughout. You will love the formal living room with high ceilings, the formal dining room for your fine dining occasions, the family room featuring wainscoting ceilings and custom fireplace, and an opening to the porch area for your delight. The inspiring gourmet kitchen presents beautiful cabinetry, quartz countertops and island, and stainless steel appliances. Relaxation is easily attained in the luxurious master suite with its own living area featuring a cozy fireplace, walk-in closet, large private balcony and a deluxe bathroom complete with soaking tub, separate shower, custom vanities and designer finishes. Outside, a fully landscaped, lush green backyard and porch provide an ideal place for your own enjoyment or entertainment. Discover the wonders of this captivating home complete with style and sophistication." "Amazing Brand-New Cape Cod Home. Welcome to this brand new 2-Story Cape Cod Home showcasing spectacular details throughout the house. This elegant home features an expansive floor plan with a spacious formal living room with high ceilings. You will love the entertaining formal dining area and the huge family room that opens to the with lovely fireplace for your delight. The impressive gourmet kitchen presents beautiful cabinetry, quartz countertops and island & lovely breakfast bar and area, making it truly a Chef's delight. With 4 large bedrooms, one of which is conveniently located downstairs, and 4.5 deluxe bathrooms, one in each bedroom, the home presents a comfortable living arrangement. Master suites with built-n walk-in closets with built-in cabinetry, master bathroom with designer finishes and covered porch and balconies. Outside, a fully landscaped, private large grassy backyard with a refreshing design creating an ideal place for entertaining guests or to simply retreat for your relaxation and amusement. Close to shopping, transportation, schools and surrounded by mountains and the access to parks and hiking trails, this high-style home will truly captivate your interest for a fascinating lifestyle." "This stunning acre of horse property features 3 separate homes. 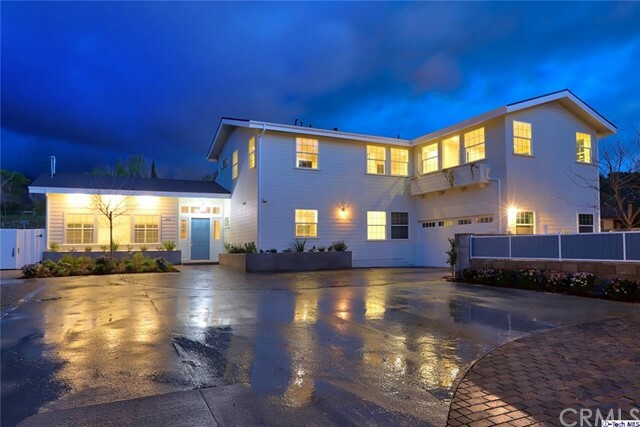 The extensively remodeled main house is a 4 bed, 3 bad, 1918 sq ft ranch style home featuring a gourmet kitchen, formal dining room and incredible storage. The elegant deck, leads to a glistening pool and built in barbecue, making this an entertainers dream. The second home appears, a 1 bedroom, 1 bath pool house, with it's own kitchen and laundry. Picturesque paths lead on, to a large storage facility, followed by a 3rd home, a 2 bedroom, 1 bath with another full kitchen and laundry. The layout of this property means endless possibilities for income generation, or a growing and extended family, with parking and storage galore. This sprawling piece of land opens onto horse stables and facilities, with dramatic verdant hillside views. This much land, this many homes, so close to both Los Angeles and the Valley is truly unheard of. This will go fast, don't miss the opportunity to live out country dreams so close to the city." "If you're searching for an entertainer's dream home, look no further. You have found the perfect place in this stunning 4 bed 4 bath newly built home in 2016. You arrive at the pristine, newly developed community of Ora Vista and into your 2839 sq foot home with gloriously open floor plan, all on a marvelously spacious 12,673 sq foot lot. You are greeted with high ceilings, tile flooring with wood appearance, and continuous airy open concept into the gourmet kitchen with grand island. All features throughout the home are new and contemporary from the sink fixtures and recessed lighting to quartz countertops and double paned windows. There's so much to love including a formal dining plus breakfast nook space with its own perfectly convenient work station, generously roomy pantry, vast walk-in closets, and sizeable laundry room with its own countertop. The perks continue into the exterior with 2 beautiful pergolas on your expansive back yard that has its own bar area with built-in gas BBQ grill and sink, amazing gas fire pit with lounge area, a superb playground set, and plenty of fruit trees including avocado, lemon, lime, and pomegranate. And let's not forget the remarkable mountain views. This property undoubtedly has everything you're looking for." "Lots of potential!!! Welcome to this great four bedroom home situated in a desirable area of Shadow Hills on a tree lined quiet Cul-de-sac. Bring your imagination and make this amazing house your dream home. Kitchen opens to a spacious dining room with sliding doors opening to the tranquil backyard. Open floor plan with light and bright living room with fireplace. Enter the bedrooms through the hallway. Spacious Master Suite and three bedrooms off the hallway. Versatile family room with brick fireplace and bar adjacent to the kitchen. An additional room and a spacious loft on the opposite side of the house with own entrance from the backyard. Backyard features a beautiful covered porch and mature trees providing privacy . Detached 2-car garage with attached storage unit. This is the perfect home for entertaining and family gatherings. Other features include central air conditioning, forced air heating, and sewer connection. Miles of nearby trails are the equestrian lover's and exercise enthusiast's dream. Easy access to the 210 and 5 freeways brings Downtown LA into a reasonable commute and many attractions within minutes." 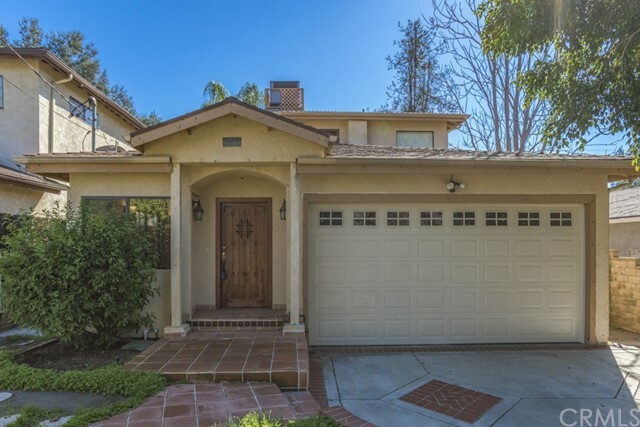 "Perfectly nestled in Shadow Hills at the base of the Verdugo Mountains and northeastern San Fernando Valley, rests this 3 bed, 2bath gem with a pool, offering a sprawling 1,600 sq ft interior and meticulous updates for modern-day! Gracious and oversized livingspace has a brick fireplace and flows into the gourmet kitchen with sleek countertops, stainless appliances, ample white cabinets,and a fabulous coffee-wine bar! Stunning wood-look flooring, a bright and airy floorplan, and walls of windows bring the outdoors in.Best of all you can swing open the sliding glass doors to enjoy a covered patio for indoor-outdoor entertaining! The private fenced-inpool is an oasis for summer surrounded by towering cypress and rolling hills. And when it's time to unwind, the master suite affordsa gracious escape with tranquil en-suite bath decked out in floor-to-ceiling travertine-inspired tiles. Updated baths, lush landscaping,and comfortable space to live, work and play! 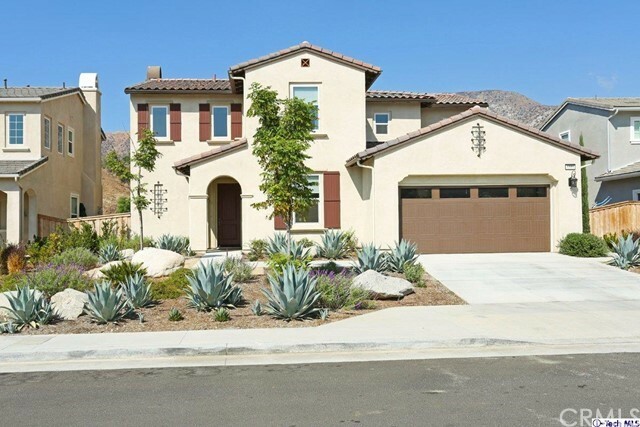 And a 2-car gar"
"Welcome to this impeccable, Mediterranean-inspired, move-in ready home in the foothills of Sunland! The charming front entry leads to a huge, open concept living room, dining room and gorgeous chef s kitchen. Plenty of room to entertain with space for many of guests. From the living room, French doors lead to a spacious patio and grassy, fenced backyard. Upstairs, all 4 bedrooms are freshly painted and full of natural sunlight. The master bedroom is private and bright and has it s own patio for a quiet morning coffee or a great place to unwind at the end of a busy day. In addition, there is a large walk-in closet with plenty of storage. The master bath has a large, spa tub with a separate shower and private commode, as well as double sinks and that gorgeous natural light throughout. The front bedroom has it s own front patio with mountain views. The laundry room is conveniently located upstairs near the bedrooms. Hardwood floors, designer paint and carpet throughout. Large two-car garage with plenty of storage and street parking. Bonus: Solar panels included with the sale of the home! 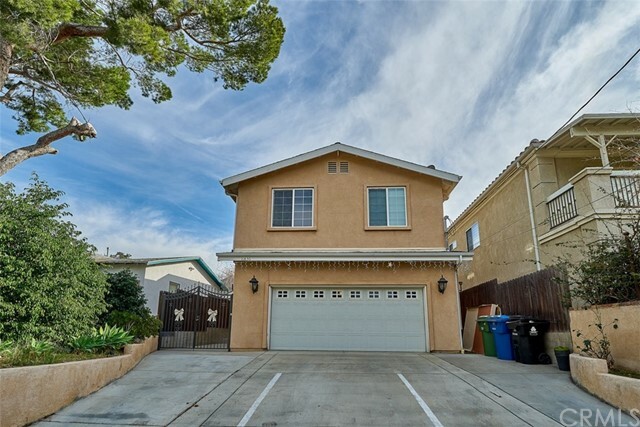 Minutes from Foothill Blvd and the 210 freeway." "Geo dome home in need of TLC. Situated on a large secluded hillside lot just under a half acre. Great potential. Call to view this property today! Motivated seller! Possible owner carry. Property is being sold in it's AS-IS, WHERE-IS condition. Buyer to verify square footage. Seller may carry for three years with substantial down payment. Seller is in the process of completing some repairs. Elevator inoperable and seller may repair. Motivated seller." "Charming Home located in Sunland, California. This home has 4 bedrooms with 3 bathrooms. Ceramic wood tile flooring, new carpet, VIEWS, RV access, large lot all located at the end of the cul-de-sac. Close to fine dining, retail shops, grocery shopping & freeway access, don't miss out on a great opportunity!" 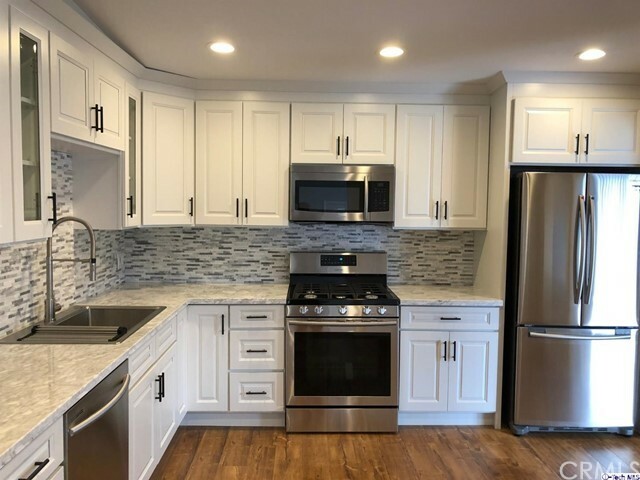 "This magnificent fully remodeled home features 3 bedrooms and 1.5 baths, brand new kitchen with quartz counters, cozy wood burning fireplace and large back yard. Nestled in the hills of beautiful Sunland, CA, it is common to see peacocks roaming the neighborhood. The front yard boast magical views of the Angeles National Forest often snow-caped in the winters. 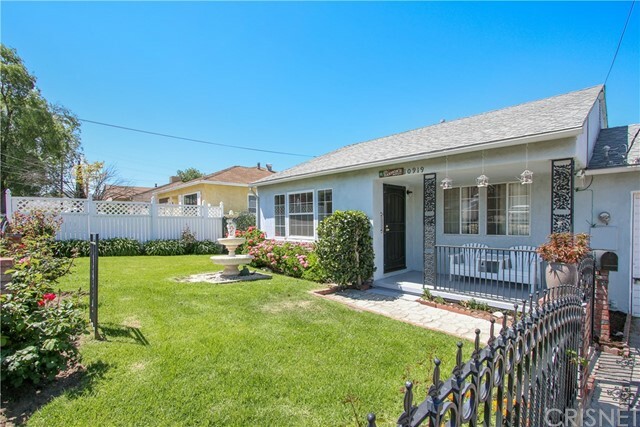 The house was completely remodeled with all new vinyl double pane windows, freshly painted inside and outside, updated electrical and plumbing, all new wood and tile floors, kitchen and baths. Brand new Whirlpool stove, microwave and dishwasher included. Don't let your buyers miss out on this opportunity." 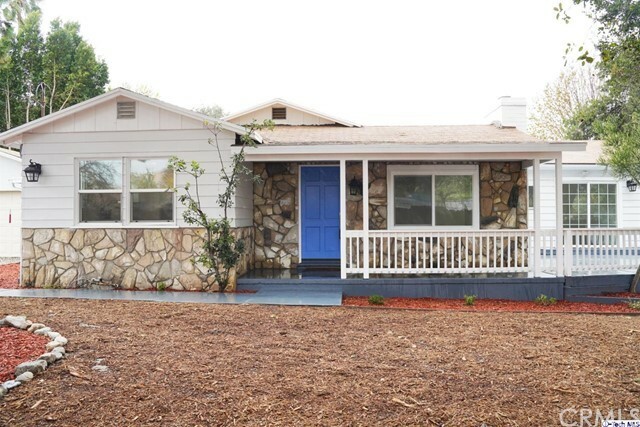 "This is a charming property located in the heart of sunland. The home is nestled on a quiet street that features 4 bedrooms, 3 bathrooms, and 1,865 of total living space, updated kitchen with white raised panel cabinets, and cherry wood laminate in the bedrooms.. The lot is enclosed by an elegant rod iron gate to maximize privacy and has a detached studio in the backyard that would be great for entertaining or a mother-in-law quarters This is a must see and won't last!" "Well maintained 2005 built home 4 bedroom 2.5 bath with double sink in master bathroom. Kitchen with granite counter top open to bright family room." 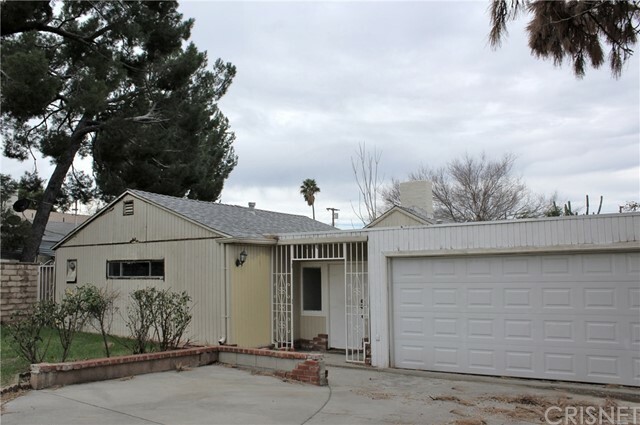 "Completely remodeled with permits 4 Bedrooms & 2 Baths home in nice area of Sunland. Bright and open floor plan and large flat lot. New custom kitchen w/ walk-in pantry, New stainless steel appliances: built-in microwave & oven combo, New gas cooktop w/downdraft, New dishwasher, New flooring, New 200 amp electrical panel, New Central HVAC, New Tankless water heater, New recessed LED lighting, New exterior and interior paint, Newer dual-pane window, New interior doors, New copper plumbing, remodeled bathrooms, Master Bedroom w/ walk-in closet, Bonus Family room leading to the large deck. Enclosed breezeway between the house and 2-car garage. Additional Parking from the other gate near Hillrose." 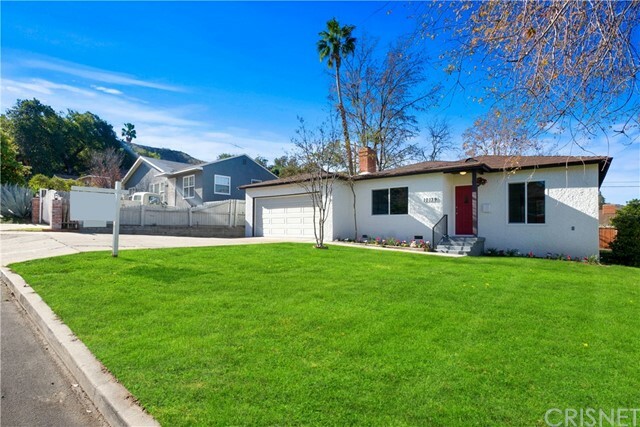 "Charming and Newly Remodeled 4 bedroom, 2 bath home located in a quiet Sunland-Tujunga neighborhood close to freeway access, schools and public transportation. Eating area in the kitchen which opens up to living room and dining room. Huge Master suite with bath that can be used as Family room if needed, Vaulted ceilings. Brand New Custom Kitchen with Marble countertops and beautiful backsplash, All brand New and Top Of The Line Stainless Steel Kitchen Appliances Including Refrigerator/Freezer, Brand New Floors and tiles, Brand New Bathrooms, Brand New Landscaping, All LED recessed lighting and more..."
"Situated on a private and quiet cul-de-sac with mountain and forest views, this 3/2 gated home has a warm and welcoming living room with a corner brick fireplace. Beautiful hardwood floors and tons of windows in the living room allow for natural light and cool breezes in the evenings. A spacious kitchen with tile flooring, newly painted cabinets and stainless steel appliances as well as an extra large pantry and dining area. Separate laundry room off of the kitchen. 3 spacious bedrooms, 2 of which have new carpet. The en-suite master has newer laminate flooring and new paint. Both bathrooms have been recently remodeled. The backyard has a private and peaceful patio as well as an outdoor sink perfect for entertaining or just enjoying the sunset. Artificial turf in the front yard as well as an exterior camera security system and 2 car attached garage with tons of storage." "Readt for summer? This pool home in beautiful area of Sunland is waiting for you. Updated 3Bedrooms & 2Baths 2-story home with great mountain views overlooking from 2 upstairs bedroom balcony. Newer laminated wood flooring installed all around the house. Property has swimming pool and spa. It has oversized 2-car attached garage which can be a game room or a boy's room. All is waiting is your magic touch." 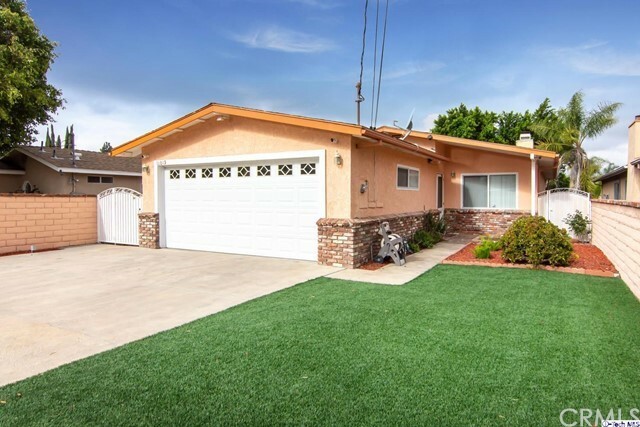 "Beautiful and Charming home located in a quiet neighborhood of Sunland, this charming, comfortable 3 bedroom and 2 bath single-story house is a great place to call home! Features are an open floor plan with living room, dining room with fire place, remodeled kitchen , granite counter top, it flows easily to the dining area. Other features include recessed lighting throughout and wood laminate flooring, cooper pluming, AC/heater. Large front yard and very large concrete flat backyard yard with fruit trees and great place for barbecuing and entertaining. Detached 2-car garage is converted to a playroom and storage. Great for ADU for extra income. Separate laundry room, and Jacuzzi located in the corner of the backyard for relaxation after a stressful day. This home is sure to bring many happy memories to the new homeowners. Don't miss this opportunity!" "This adorable gated front home is located only walking distance to Mount Gleason Middle School. It offers 4 bedrooms, two baths, two sitting areas, large open kitchen, good size closets in some bedrooms, and adorable little backyard, great for BBQ's. Buyers to verify bedroom count. Tax records show a 3+2 but there are 4 bedrooms in the home. In addition, there are two water heaters. No investor offers for the first 20 days on market. Please read private remarks for further details." "Welcome to this charming single story home located minutes from hiking trails nestled by the mountains of Sunland California. Beautifully landscaped, this 3 bedroom, 1 bath home offers natural sunlight, partial mountain views, original wood kitchen cabinets, laminate flooring, and a large dining area. The master bedroom is located towards the back of the house for privacy including traditional wood paneling and mirrored closet doors. The bright sunroom situated next to the master bedroom leads out to the lush backyard including an orange tree and a well maintained above ground pool. This house is ready for a buyer who can put in his or her own finishing touches. View of mountains from the front newly painted porch and backyard. 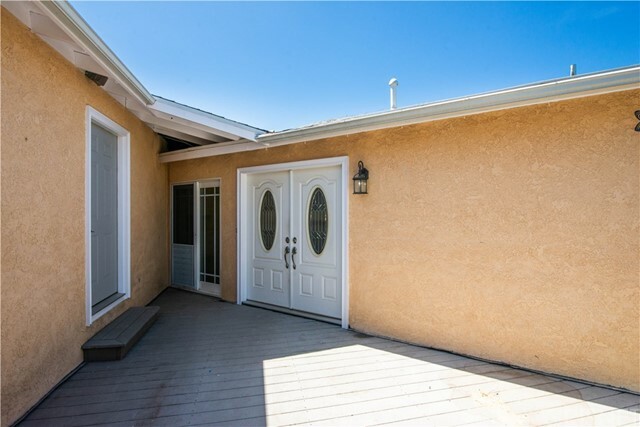 Minutes from Sunland Recreation Center, Oro Vista Park, shops, restaurants and transportation." "Price reduced for a fast sale. 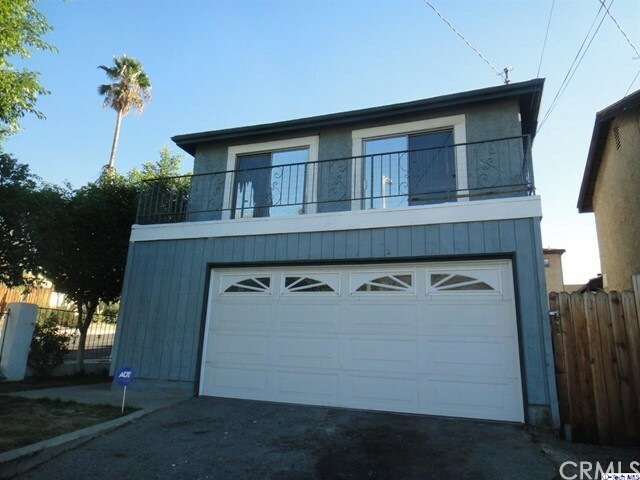 This Sunland home is situated in a nice neighborhood and a must see for the price. The Assessor's records show 3 bedrooms and 2 bathrooms, but it is believed that the living room was opened up into the 3rd bedroom which made a large living room. Also featuring an open kitchen, one of the bedrooms has a nice bathroom, dining area, laundry room, and more." "Back on Market! Cozy home with lots of potential to make into your dream home! This is the perfect first home for a small family willing to do some cleaning and minor repairs. Fully fenced in with a good size backyard for children to play in. Beautiful area with views of surrounding green mountains. Home is priced for a quick sale and needs a buyer asap! Home shows 2 bedrooms but there is an additional room adjacent to garage and can be 3rd Bedroom. Buyer to verify permits, Seller and Agent makes no representations as to accuracy of assessor's reported data. Home is a probate sale, Full IAEA, no court confirmation required!"